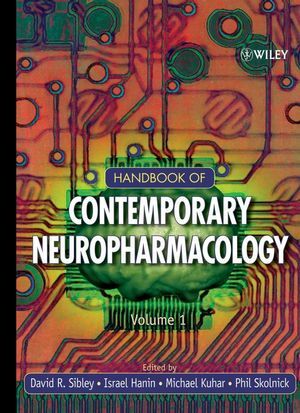 Here is an all-encompassing reference tailored to the needs of research managers, chemists and biologists, clinical scientists, and executives in the pharmacology and biotechnology industry. No other resource focuses on drug discovery and pharmaceutical research from this unique perspective combining scientific and business aspects of today's biotechnology. 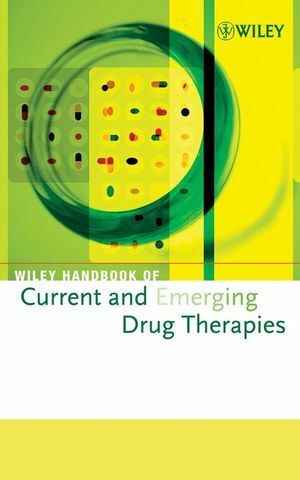 Within every major therapeutic area, the Wiley Handbook of Current and Emerging Drug Therapies provides a general overview of the etiology and pathophsiology of the important disease indications. Then, you'll find a comprehensive analysis of currently approved drugs targeting these diseases, with information on mechanism of action, efficacy, side effects and future prospects. You'll also find product-by-product analyses of drugs currently in development, including mechanism of action, formulations, and detailed information on the status of clinical trials. Also available in a regularly-updating online version. Visit www.interscience.wiley.com/mrw/cedt for more information. The Handbook's content has been prepared by independent pharmaceutical market research consultants. The authorship will, however, be presented as "Wiley". Therapeutic Area Trends in R&D of the Top 20 Pharmaceutical Companies. Cumulative Index of Drug and Molecule Names, Volumes 1-4. PART VI. EMERGING TECHNOLOGIES AND BUSINESS OPPORTUNITIES. Data and Information Integration in Pharmaceutical R&D. Impact of Technological Advances on Pharmaceutical Productivity. Advances in Medicinal Chemistry and Lead Optimization. Bio-Defense Opportunities in the Biotechnology and Pharmaceutical Industries. Fear of Theranostics: Why an Industry Has Not Really Emerged. Beyond Commodity Drugs: Strategic Diversification in the Generics Industry. PART VII: GLOBAL MARKETS AND NATIONAL POLICY. The EU Clinical Trials Directive: Impact in Europe and Beyond. The Indian Pharmaceutical Industry in Transition: Changes and Opportunities Ahead. Spotlight on the Australian and New Zealand Pharmaceutical and Biotechnology Industries. Overview of the World's Major OTC Markets. Biotech Hubs-Key Growth Engines for Drug Development. Pharmaceutical Marketplace in Central and Eastern Europe. Valuation Models for European Biotech. Taking Global Action: Integrating Social Responsibility into Corporate Practices. Global Branding Strategy: From the Blockbuster to the Targeted Model. PART VIII: NEW OPPORTUNITIES IN DRUG DISCOVERY AND PIPELINE DEVELOPMENT. Prospects for Genomics-Derived Drugs: New Approaches and Impact on Pharmaceutical Pipelines. Prying Open the Pipeline: Drug Discovery and Development in the Postgenomics Era. Glycomics: The Impact of Carbohydrates on Biological Function and the Implications for Drug Discovery. High-Content Screening for Drug Discovery and Target Validation. High-Throughput ADMET Screening: Improving the Efficiency of Drug Discovery. Emerging Concepts in GPCR Research and Their Implications for Drug Discovery. Optimizing Knowledge Management in Pharmaceutical Companies. Cumulative Subject Index, Volumes 1-4.